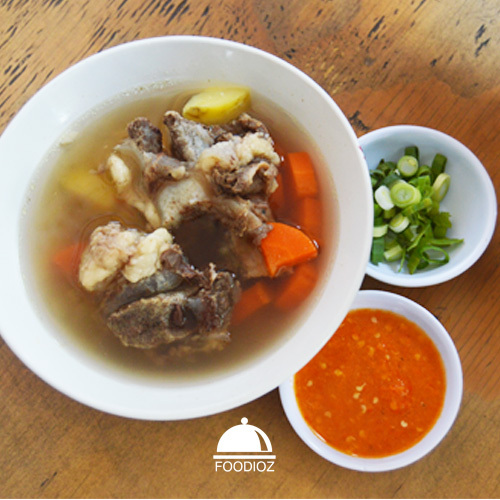 It is consisted of two quite huge beef ribs with bunch of carrots and potatoes in clear broth soup. The soup has fresh taste and well seasoning. 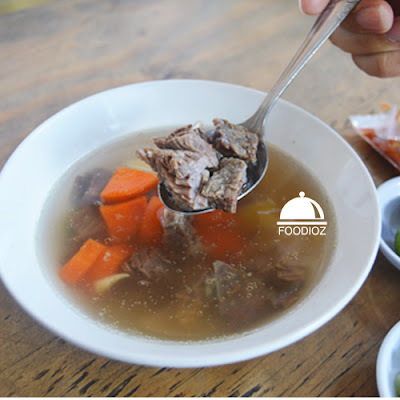 Beef has really tender texture but somehow it has too much part of it fat which is i don't really like it. But overall it is tasty. I am sure prefer with second dish, Beef Clear Soup. 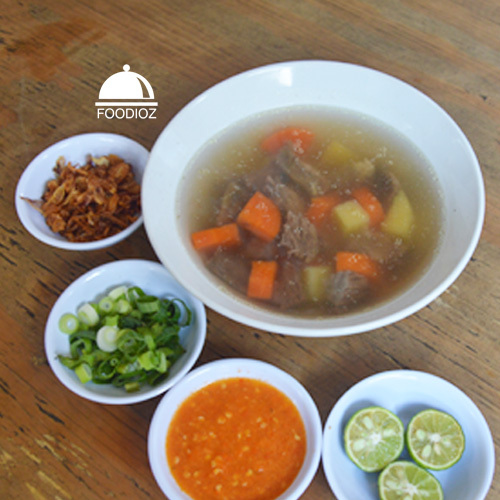 Basicly soup is same, just in this one consisted of bunch of beef meats with bunch of carrots and potatoes. Bee sure has nice texture, i do like it and it chopped in nice size as well. Meat has really nice texture and it is sure full of meat, no such any fat. 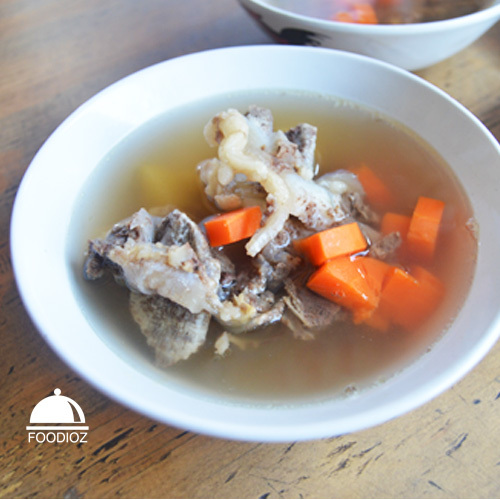 Other than these, it also served with chili, spring onion and lime to get more taste of it. Don't forget the white rice, it absolutely Indonesian style. 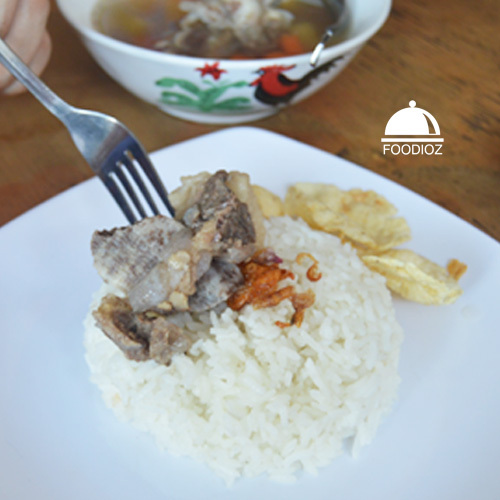 I am also glad as basic Indonesian food, they are sure have much reasonable price.